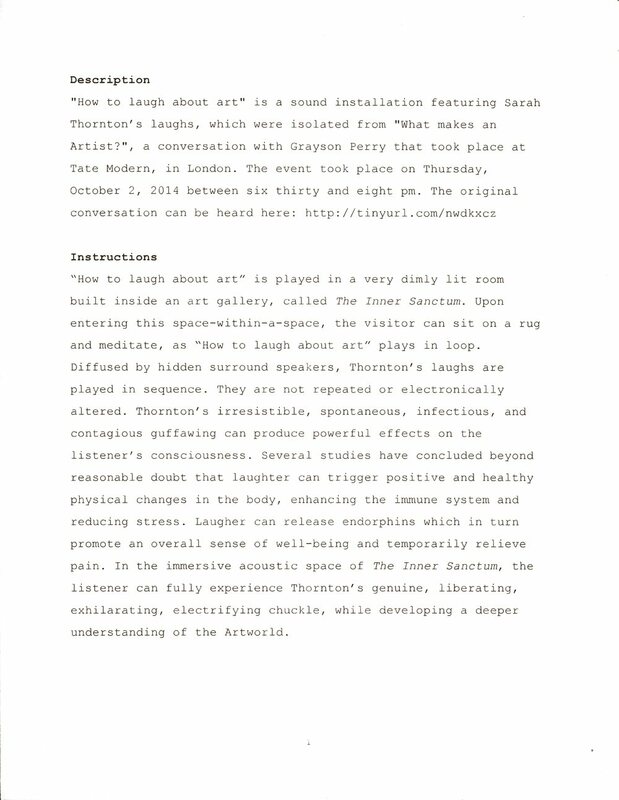 "How to laugh about art" is a sound installation featuring Sarah Thornton’s laughs, which were isolated from "What makes an Artist? 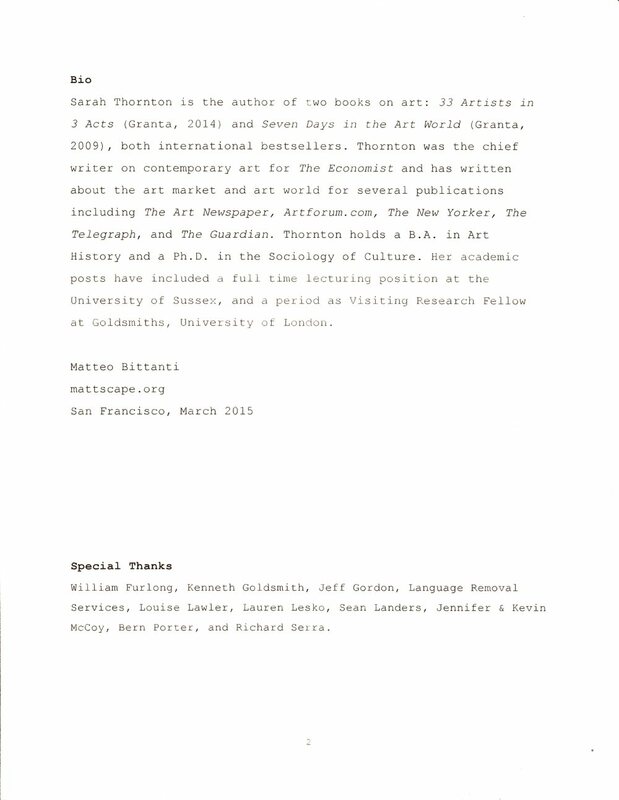 ", a conversation with Grayson Perry that took place at Tate Modern, in London. The event took place on Thursday, October 2, 2014 between six thirty and eight pm. The original conversation can be heard here.